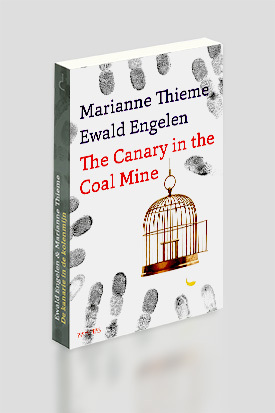 In The Canary in the Coal Mine Party for the Animals leader Marianne Thieme and professor of Financial Geography Edwald Engelen warn against the unsustainability of today’s politics and financial choices. Like a canary in a coal mine, they identify the dangers that jeopardise our future. Such as the fossil perspective, which has led to the near-complete depletion of the collected reserves of fossil fuels. Or the fact that famine is not the result of insufficient food production, but predominantly due to food distribution and waste issues. And that conflicts over water are not a thing of the distant future, but are already manifest in the present. The majority of politicians and scientists opt for marginal changes within the status quo, focused on more economic growth and increased free trade. Ewald Engelen en Marianne Thieme advocate a radical change of direction. 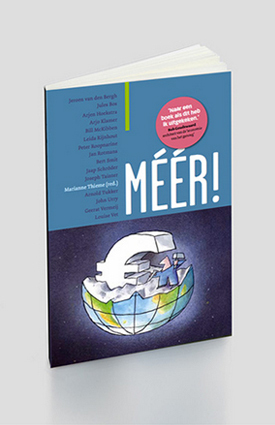 Engelen from an economic perspective, Thieme from an ecological standpoint. They reach a common conclusion: the financial system and the political structure are rotten to the core. Time for plan B. The e-book is available on Amazon UK, Amazon Europe and Amazon AU. Also available on Kobo. 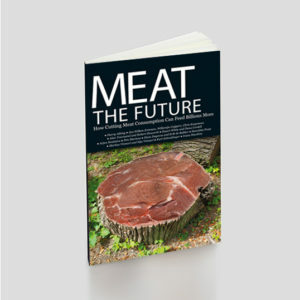 Food production plays an important role in environmental issues that are caused by human actions, and the production of animal protein has a particularly disproportionate impact on natural resources, as several chapters in this book demonstrate. Therefore, this publication would like to raise awareness of the fact that we have a choice in our diets and that all of us have the power to influence future food demand. The road to change must be paved with altered behaviour by governments, consumers and the food industry alike, changes that are described in a number of the chapters. Other contributions concentrate on the rapidly expanding availability and number of meat alternatives, and on studies regarding the benefits of plant-based diets. 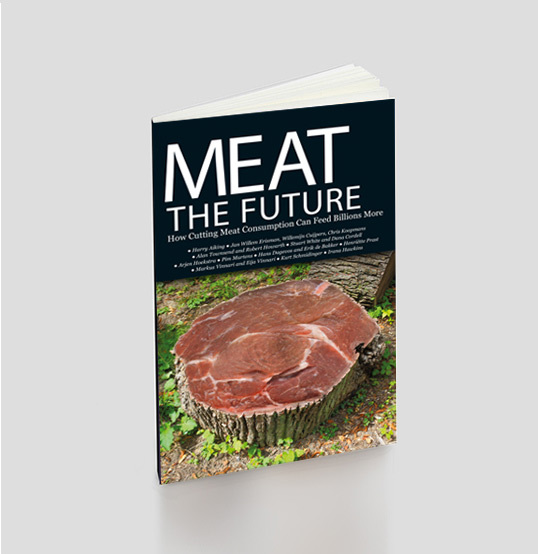 We have asked leading scientists to investigate the impact of meat consumption on all those issues that impact ‘the state of the Earth’. This has led to illuminating articles, with topics ranging from issues such as the loss of biodiversity, the disruption of the phosphorus cycle, and land use change. And how these pressing matters relate to food security. Thankfully, the destructive path that we are currently travelling is not definitive, but in order to change our own and the planet’s destiny, it is pertinent that we act now. More! has become the central theme in current society: more of everything and more than exists. The last few decades of unprecedented wealth have not only made us believe that our economy’s growth is limitless, but that it is a prerequisite for happiness and welfare as well. The systemic crisis that started as a banking crisis in 2008 has become a full-blown monetary crisis. And it is clear that we are also dealing with a biodiversity crisis, a climate crisis, a world food crisis and other scarcity issues, all of which are threatening our wealth and welfare. In More! Marianne Thieme has brought together scientific views that chart the current crises and help to find overall solutions. The independent scientists contributing are worried about the future of humans, animals, nature and the environment. They all advocate radical policy changes from their different viewpoints and take the limits of the earth as a starting point for our actions. Together they have composed a guideline for different, sustainable policies that have become inevitable in view of our growth and debt addiction.